The pharmacist did not provide any instructions on whether Kumari could expect bleeding or when to go for emergency care. Kumari started taking the pills on a Saturday night. On Monday morning she was in pain and bleeding heavily. 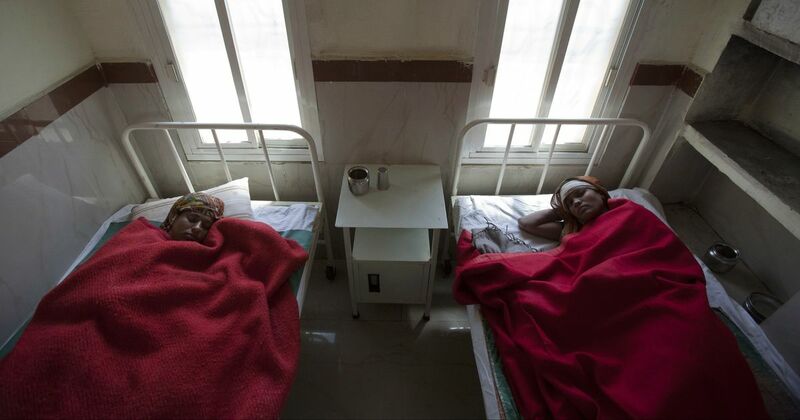 A large number of unsafe abortion occur in India every year due to a combination of factors – lack of education of women seeking abortions, stigma surrounding abortion and a shortage of qualified healthcare providers to perform abortions. 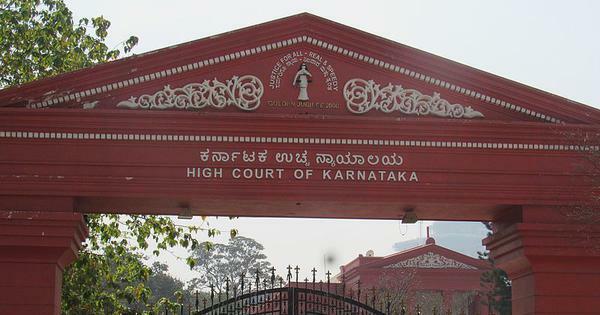 Karnataka is now among a handful of states that is slowly implementing a new programme that helps avoid cases like Kumari’s and deaths from botched abortions. State governments in 12 states including Rajasthan, Maharashtra and Chhattisgarh launched Comprehensive Abortion Care programmes in 2015, which aim to offer all women safe and legal abortion services. The Ipas Development Foundation, a global non-government organisation, is helping implement the comprehensive abortion care programme in India. For example, it supports the Karnataka government’s efforts to train doctors and healthcare workers at primary health centres and community health centres in abortion procedures that include medical as well as surgical termination of pregnancy. The programme also includes training on abortion laws and the time-period during which abortion is allowed. Despite advances in medical technology, a large number of unsafe abortions that still take place around the world. The World Health Organisation defines unsafe abortions as a procedure for terminating an unwanted pregnancy either by persons lacking the necessary skills or in an environment lacking minimal medical standards or both. According to a study by the WHO and the Guttmacher Institute published in The Lancet in September, 25 million unsafe abortions – that is 45% of all abortions – occurred every year between 2010 and 2014. Nearly 97% of these occurred in developing countries in Africa, Asia and Latin America. The study found that in 62 countries that had highly restrictive abortion laws 75% of all abortions were unsafe compared to 13% in the 57 countries where legal abortion is available on demand. “Despite abortion being legal in India for the last 46 years, unsafe abortion ratio is probably much closer to that in countries where abortion is illegal,” said Manning, pointing out that there are currently no estimates of the number of unsafe and illegal abortions in India. The Medical Termination of Pregnancy Act allows abortion up to 20 weeks of pregnancy if a doctor deems that there will be physical or mental harm to the woman in continuing the pregnancy. A woman seeking abortion beyond 20 weeks of pregnancy has to move the courts for permission to do so. A pregnancy can be terminated either medically – by taking abortion pills – or surgically, depending on how far a the pregnancy has advanced and other risk factors. Doctors recommend the safest abortion procedure after examining a patient. However, as Krishna pointed out, many women resort to taking abortion pills without consulting doctors about what method might be best for them. There are several reasons for this including the pain associated with surgery and the stigma still attached to abortion. Among the five states in South India, Karnataka has the second highest number of legal reported abortions of 5,95,935 per year, according to calculations by Ipas. The actual number of abortions is likely to be much higher since there is no record of illegal abortions of any kind, including those using MTP pills acquired over the counter. Vani Vilas is the nodal hospital for Karnataka’s Comprehensive Abortion Care training programme. Since the project began two years ago, the hospital has conducted more than 20 sessions and has trained nearly 50 doctors who provide primary health care in rural areas. The programme gives MBBS graduates training in certain abortion procedures. These trainees are posted in primary health centres and community health centres, who do not have specialised training in any gynaecological procedures including abortions. The doctors are taught the medico-legal aspects of abortion and trained to counsel women seeking abortion to inform them about side-effects. Qualified gynaecologists are also trained in newer abortion techniques. Dr Radha T is one such MBBS graduate who works at the community health centre in Kaggalipura in rural Bangalore and was trained in comprehensive abortion care in July 2015. Medical abortion, that is abortion induced by taking pills of misoprostol and mifepristone, is the recommended and preferred method of abortion in early stages – the first trimester – of a pregnancy. However, these medicines need to be taken under medical supervision. Radha noted that the community health centre used to receive five to six cases a month till 2014. This has increased to almost 15 women a month after she started offering comprehensive abortion care. Accredited Social Health Activists – ASHAs, as they are called – and nurses at primary and community health centres say that many women think that abortions at any stage are illegal, that if they have a surgical abortion they will not be able to become pregnant again or that a child born to a woman who has had an abortion will have a physical or mental disability. To counter such beliefs, the comprehensive abortion care programme has distributed display charts to primary and community health centres dispelling myths around abortion. The charts explain under what circumstances abortion is legal in India and the science of surgical abortions in simple terms. The comprehensive abortion care programme is also changing the way surgical abortions are performed. The first step in a surgical abortion is to dilate the cervix enough for instruments to be inserted into the uterus remove the tissues lining it. During procedures like dilation and curettage or dilation and evacuation that are used in first trimester abortions, the cervix is dilated by inserting a series of progressively thicker metal cones. The use of metal instruments causes many women pain and discomfort. The comprehensive abortion care programme programme has replaced this method of dilation, which is normally used at government health facilities, with a newer procedure. Doctors are trained to dilate the cervix using the laminaria tent method. A laminaria tent is a set of thin rods made of a sterile seaweed that acts as a dilator. The uterus is then evacuated by vacuum aspiration during which plastic aspirator suctions out the tissue lining the uterus. Dilation using by laminaria tents results in fewer cervical tears and haemorrhage. However, the health ministry has been reluctant to adopt the laminar tent method at government facilities because the equipment needs more maintenance and replacement of parts than the equipment used in other dilation methods. Ipas has stepped in to fill the gap. “We alert the local Ipas official whenever a part goes bad and it is replaced within days,” said Prabha. The comprehensive abortion care programme is only one step of many that India needs to take to ensure the option of safe abortion to all women. “The government needs to urgently take forward the proposed amendments to the MTP Act,” said Manning. One of the proposed amendments is to allow non-allopathic doctors and mid-level healthcare workers such as Registered Medical Practitioners to conduct abortions. The proposed changes are based on the findings of a project undertaken by the Population Council between 2006 and 2011, which showed that abortions conducted by trained mid-level healthcare providers are as safe and acceptable as those conducted by physicians. “Without the expansion of provider base proposed in the amendments, safe abortion will never be a reality for women in rural remote areas of the country,” said Manning.